Free YouTube to MP3 Converter to download and convert YouTube video on Mac. Download and convert YouTube videos in batch. The smart design brings easier usage. 4Media YouTube to MP3 Converter for Mac is the best YouTube video to MP3 downloader and converter which can download and convert YouTube videos and YouTube HD videos to MP3 audios. By owning it, you can enjoy your music life everywhere. What’s more, the special design of “directly transferring MP3 files to iTunes” on YouTube to MP3 Converter brings you much convenience, and the most important is that it is totally free. Download YouTube videos and YouTube HD videos, even 1080p HD video to MP3 easily and convert them into MP3 audio format. 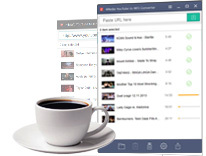 Download and convert multiple YouTube videos and YouTube HD videos to MP3 on Mac simultaneously. It supports multi-threading for each task and offers you the highest download and conversion speed with excellent quality. 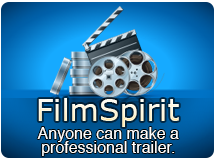 It is so easy to download a video from YouTube just by pasting the exact URL of your desired video. Set preferred video resolutions, preferred formats, audio bitrate; Set max simultaneous downloads. Those settings bring you much convenience to your work. You have a choice to decide whether need to transfer MP3 files to iTunes or not.